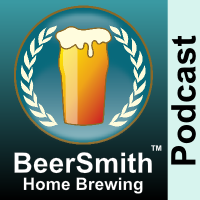 We start with a short discussion of John’s recent trip to Mexico and why John thinks we are living in the “Golden Age” for beer brewing. John recently did some presentations on yeast and beer maturation – we begin with a discussion of what the beer maturation process is. We talk about how many off flavors are caused by yeast, but also how yeast play an important role in mitigating and reducing off flavors. John discusses the yeast life cycle, and how it is closely related to the stages of brewing. He shares his thoughts on maturation which is largely a process of reducing byproducts and waste left over from the brewing process. We discuss some of the byproducts that yeast produce and also how yeast clean these up. John tells us why yeast growth rate is important, as well as why pitching rates are critical for yeast health. We talk about diacetyl as well as acetalaldehyde and how yeast mop these byproducts up if given the chance. John shares his tips on rapid maturation of beer and we discuss the technique of cold crashing and lagering. John gives us his closing thoughts.